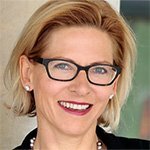 Managing Director of Menschlich Erfolgreich and expert for healthy communication, leadership, and conflict management, Angela supports private people, teams, schools, and corporations in developing a culture of potential in natural and inspiring ways. Using many lively examples, Angela shows what – in conversations, partnerships, and our own perceptions and reflections – serves life more than unconscious speaking, listening and reacting. Angela considers herself to be a Communication Biologist, having studied both natural sciences and psychology. As a consultant, she helps create sustainable communication skills and relationships. She believes nature can help each of us learn to use our resources more wisely, and teach us to work together instead of against each other. Her work is modeled on that of Marshall B. Rosenberg, having spent seven years learning and working with Rosenberg himself. For the past 10 years she has consulted and trained top management, leaders, and employees from both industrial and cultural environs. She has designed and led train-the-trainer classes for both trainers and corporations for eight years. She is known for her impressive clarity with regards to conflict resolution; self-responsibility for one’s own feelings and needs; dialogues that point directly to the heart of the topic; and communication and leadership in the 21st Century, both privately and on-the-job.